A few weeks ago, in the festive period, the UK Home Office cheerily tweeted out that “EU citizens and their families will need to apply to the EU Settlement Scheme to continue living in the UK after 31 December 2020.” This causally implies that all EU citizens, including Irish citizens who are resident in NI, would need to register with the Home Office or be put out by the end of next year. Last Monday saw a u-turn from Theresa May who dropped the outrageous £65 fee that was to be charged for applications under the Settlement Scheme, although the onerous registration process, set to open in April, remains. 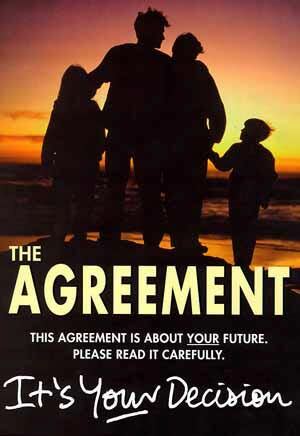 It would be hardly compatible with the Good Friday Agreement (GFA) – where the UK and Ireland explicitly recognised the birthright of those born in Northern Ireland to “identify” and be “accepted as” British or Irish (or both) – to then query the rights of Irish citizens to live here, and threaten eviction for non-registration with the UK immigration authorities. If you get to the small print, the official Home Office line is that Irish citizens are, unlike other EU citizens, not ‘required’ to apply under the EU Settlement Scheme, but “may do so if they wish”. The whole issue has highlighted greater deficiencies, drawing attention to the UK’s failure to properly implement the citizenship provisions of the GFA, the new hardened citizenship boundaries Brexit will inevitably create, and the non-implementation of earlier UK-EU commitments on the EU rights of Irish citizens in NI. This was supposed to be copper fastened as a right in domestic law under the GFA – mandated NI Bill of Rights. Had that actually been legislated for it would have rendered Brexit in NI legally untenable, at least without a ‘special status’ type of agreement that would have allowed British citizens in NI to retain basic EU citizens’ rights such as freedom of movement, which Irish citizens (who are still citizens of an EU member state) retain. British citizens will however have their rights to reside, work and access services in NI secured in domestic law. What Brexit has highlighted is that for Irish citizens, even the NI born, the situation is more precarious. Irish passport holders here may be surprised to know that if they go away on an international trip and fly back into Belfast there is currently no legal basis for them as an Irish citizen to come back and live and work in NI. Hardly anyone has noticed as there is little practical impact – the gap is currently plugged by EU law that allows Irish and other EU citizens to do all those things under EU freedom of movement, but that goes with Brexit. The Home Office line that Irish citizens ‘do not need’ to apply to the EU settlement scheme is based on the assertion that all Irish citizens already have all these rights to enter, reside, work, access services etc in NI under the terms of the Common Travel Area (CTA). This has been the UK’s position from the outset on Brexit, and having signed up to the GFA you would have thought the legal framework would provide for this anyway. The UK has now belatedly realised that it does not. Legislation was put into Westminster on the eve of the Christmas recess that at least would remedy the gap for Irish citizens being able to re-enter and reside in NI, if it becomes law before Brexit. The rest of the legal framework for Irish citizens to continue to access NI services under ‘CTA rights’ has been politically promised but remains unclear and insecure. There is little clarity as to what it will cover in areas such as ‘study’ and health. The political commitments from both the British and Irish governments on the CTA do not extend to all CTA rights being underpinned by a treaty, bill of rights or any other vehicle that can’t be changed at the whim of an incoming government. If and until this changes and CTA rights are secured, it is one reason why Irish citizens may ‘wish’ to apply to the settled status scheme – it allows for the retention of EU rights that may be the only way of securing equal treatment in service access here. As the Settlement Scheme is only for people here at the moment, that option won’t be open to any Irish citizen who ‘arrives’ (i.e. is born) in NI after Brexit, creating a differential between the generations. The Home Office has also had a habit of overlooking the words ‘and be accepted as Irish’ in the NI birth rights section of the GFA and bizarrely claiming that the GFA only allowed people born in NI to ‘identify’ as Irish, but that such persons are nevertheless to be treated as British. This is grounded in the UK (unlike Ireland) never bringing its nationality laws in line with the GFA and continuing to confer British citizenship on almost all NI born. Again to date this has rarely been noticed as it only has a practical impact in limited circumstances. The most prominent is when NI Irish citizens have sought to exercise their EU citizens rights to be joined by their (non-EU) partners. The Home Office response has been to decline on variations of the argument that NI-born Irish are really British. This has been highlighted in the recent case of Emma and Jake DeSouza. On other occasions the Home Office has suggested that if Irish citizens in NI want EU rights they should renounce the British citizenship that has (often unknowingly) been conferred on them. This involves making a GFA-incompatible declaration of being a British citizen, and paying the Home Office a fee of £372, along with any uncertain consequences formal renunciation can bring. (One Belfast woman who renounced British citizenship recently was then asked to prove her right to live here by the Home Office). It is possible that the Home Office could translate this same logic into refusing NI-born Irish citizens applications under the EU Settlement Scheme on grounds that they are ‘British’ and therefore don’t meet the criteria of being here under EU law. That conflict’s with the GFA, but is also difficult to legally sustain and would be challenged. If the Home Office did try this it would render Irish citizens in NI as possibly the only EU citizens in the UK who cannot retain some EU rights. Finally, the other reason why Irish citizens may ‘wish’ to apply under the EU Settlement scheme is to retain broader EU rights that as things stand be lost by Brexit. The CTA is not going to cover anything outside the UK & Ireland, when visiting other EU states – and there is not even any commitment for the CTA to cover cross border services such as schools, health and childcare. Irish citizens only automatically retain some basic EU citizens’ rights, including basic free movement in the EU, but unless specific arrangements are made would lose access to most other related EU citizens rights, opportunities and benefits, that are not automatic but normally dependent on factors like residency in an EU member state. This means rights to use say the European Health Insurance Card (EHIC) or pay home student rates, or have qualifications recognised, will be lost. Back in December 2017, however, when the UK-EU issued their ‘phase 1’ Brexit agreement which committed to Irish citizens in NI, retaining access to a broader range of EU rights, opportunities and benefits, well beyond basic free movement. However, there is nothing in the Withdrawal Agreement to implement this commitment. This is another reason why Irish citizens may ‘wish’ to apply for settled status to at least keep some of these entitlements. Brexit by sharpening the boundaries of what it means to be a British or Irish citizen in NI is bringing these issues to a head. Daniel Holder is the Deputy Director of CAJ. January 25, 2019 in News & Current Affairs. Thirs nane sae blin as those wha wilna see.